What Happens When Mario Goes Up Against All Enemies in The Final Boss of NSMBW? NSMBW Final Boss, but there are enemies everywhere! If you have any nsmbw video requests then let me know in the comments. Bowser: New plan! Let's have my minions protect the button at all cost! Minions: Yeah! We will protect it! Bowser Jr: Papa, shouldn't we just get rid of the button before Mario gets here? Bowser: That's a stupid idea, GET OUT! My papa's gonna be proud of me one day! Who remembers the excitement of beating Bowser for the first time? Bowser by now should think why did i make that button in the first place? Where's the lava in the first room. Can you do The Final Boss of NSMBW but all of Bowser's Stages Don't move? 3:02 That giant goomba on the switch sure knows how to dance. it was like "don't mind me, just passin' by"
"Hey, where'd all the lava go?" So… Epic! Awesome touch with the Bowser's Inside Story track. It fits well. One giant Buzzy Beetle was frozen like a round hill-like obstacle. 5:38 OH!!! King Bill!!! AGAIN!!! 6:07 And More Enemies on Lava OMG!!! 6:11 And King Bill Incoming Again!!!! idea. From the music to the skills. This video has a lot going for it. Wow ! Soooo it is basically Mario Maker now. 4:30 The most epic thing I’ve seen out of New Super Mario Bros.
Do the final boss of NSMBW but with Mario as Kirby and Bowser as Void Termina! We need a romhack of the game being a lot harder, similar to what we just saw, if you already finished watching the video. Ladies and gentlemen, Super Mario Maker. Never trust kiddos making MM levels. Megalovania in a nutshell and also a KING BULLET BILL ! This would've made it alot better. Do the final boss of NSMBW but with a Fleet of Armada Warships From Power Rangers Super Megaforce! Why dont you do this in mario maker? Bowser actually came prepared this time! pickle the peasant nah, it's dark souls lite. "Yes, I do play Dark Souls." Are you sure this is New Super Mario Bros. Wii? Cause it looks like Super Mario Maker to me. Phase 1 was neat, and a cool idea, but it wasn't very practical.Phase 2 was freaking amazing. The mix of "The Grand Finale" as the music, and the gauntlet MIXED with the epic escape scene was amazing. It was like all of Bowser's Army was fighting as a last resort to finish you off. Da Nintendude what you doin’ here? Instead of clobberin’ that there kirbeh! The final battle music from BIS fit so well with this! Thirtieth reply! But What would happen if World 9-8 was a Bowser rematch more insane than what we see? Bowser's Inside Story is by far my favorite Mario game to this day. Or at least the most nostalgic for me. This is way more epic than the actual final boss, and looks hard as hell for the average player! This is how I feel when I have an unpopular opinion: I feel like everyone is ganging up on me. Bowser is pulling out all the baddies hes got. Super Mario Maker in a nutshell!!! Final Boss of NSMBW, but it includes every Koopaling. Show me all the secret things (enemies, items, power-ups, building things that aren't used in the game) that are in NSMBW please. This should've been a secret final boss, and I like the deeper Bowser voice! Huh. I never knew I was playing Super Mario Maker. I googled "Havoc". It linked me here. WHAT!? Not even THAT worked!? Flashbacks from that one event level in Mario Maker. Now i wonder: What would happen if you use a Bob-Omb against Bowser? Ladies and Gentlemen, the final battle is here. Awesome video! Absolutely amazing. 6:18 Aw that big turtle with wings is so adorable. No don't kill it!! 7:44 And all that remained of King Koopa… Was a lone Cheep Cheep. My favorite part is the nonchalant cheep cheep at the end. Super Mario Maker in a nutshell 👆 I can see Dashie playing this level from SMBW with that many enemies in his way. "Oh, Mario! Tell me all about your big adventure again!" Really, that is what the second phase should have been in the vanilla game. Could you please do this with other games this was amazing. Where are the other bosses? Super Mario, the expert ending. I think the second Bowser part needs more hammerbros. Cheep Chomp !!! Where's it?? where was myself and the koopaling idiots in this? New super Mario bros: insane mode confirmed. Whats the name of the music of bowsers battle? New Kaizo Mario Bros. Wii Anyone? So basically New Super Mario Bros Wii if it actually had challenge. Very clever spacing of the enemies, and super appropriate music choices! Well, Bowser decided to use all of his minons against me this time. Mario: WTF is Going on!! Bowser Jr would have finished the job. If this game had a extra hard mode, this would be it. This is what it should've really been like. In my opinion the New Super Mario Bros games are repetitive and forgettable. But this is pretty cool. its like a mean and hard level from mario maker! Good Going dude! It only goes dangerous when sledge bro stomps, or when the boo gets too close to you. Maybe the fire, boomerang and hammer bro deal some damage, too. More final bosses in Mario games should be like this, fighting off Bowser's army until you reach him. This game is my childhood. It's a shame they don't make these games anymore. Not even an army could defeat a porty little plumber! Amazing video! I loved the chaos at the Final battle against Bowser at the end! Can you tell me what music you used for the last fight? New Super Mario Maker Wii. this makes the battle more action packed. and action packed is awesome. 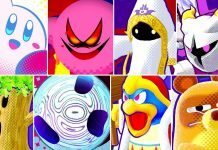 Can't you do Final Boss but with Kirby? Mario's definitely getting laid after Peach witnessed that entire thing. Can you do this, but with all koopalings? The minions in the second phase are really neat. Seems like a last ditch effort from everybody. I won't deny the effort it took to make this video or the skill required to beat the level. I dare you to this again but this time NO DAMAGE! this is what i call a battle !!!! Peach: mario tell me all about your adventure! What's the song of Phase 2? If this was the actual boss fight and music I will ENJOY IT! Wow! Is it Super Mario Maker?New Super Kaizo Bros. Wii? Damn, those MechaKoopas are really useful! Mama mia… what.. in the world…. was that..
Nintendo needs to make a boss fight like this tbh. Mario and Luigi Final Battle Theme… interesting. so you just uploaded yourself playing a mario maker level? "Nintendo games are too easy"
Should've added the 7 Koopalings and Bowser jr to the final battle to add to the chaos. His really is what the final boss of this game should have been; difficulty wise. I get chills every time I hear the castle music. Aahhh, good times throwing my brother and friends into the lava. What? Look at the tags…I never thought you were like this CommunityGame.. Does anyone know the name of the song that plays when Bowser starts chasing mario? Man, that was… AMAZING! Especially phase 2. The music from the finale of bowser's inside story (dark bowser battle) was the perfect track for that phase, combined with bowser's army, dedicated to kill you once and for all!Great idea, great work. Congratulations! That would be cool if the final boss was like that. The battle before bowser grows giant is the definition of super Mario maker 100 mario super expert levels. "The princess is in another castle"
7:45 I love how that fish is just like "hey what i miss?" This is like Ultimate Custom Night but with all Mario enemies. Amazing. 5:13 anyone noticed that piranha plant is floating and disappearing? 7:15 the pufferfish is all like HEY?!? WTF?!? This looks like the hardest Nintendo boss fight in history 😀 . What if all of the NSMBW enemies were combined into one boss and one attack from each enemy came from that boss! What music did you use for the 2nd Phase? Super Mario world final boss music!!!! Is this game very easy to mod? Well it's 51% Harder than the big bowser fight. Bowser: Gee Kamek, do you think we need to change our strategies up a bit?Kamek: Well sire, you could just throw your entire army at Mario instead of facing him one on one. is this the revenge of bowser? You mean a SMM course made by a Japanese man? I like how you used the final boss theme from Bowser's Inside Story. Is noone going to talk about he only got hit once during all of that? I loved the music at the second phase! Super mario maker 2 looks nice! Can you do the final boss but with only twirl-jumps? As soon as the fight started mario was probably like "WE'RE A GONNA HAVE A PROBLEM HERE!!!!" This should have been in a Mario game. That piranha plant was just standing in thin air! This is what nsmbw's final battle should of been. 0:31 How Can Cheep Cheeps swim in air? You see how he has 35 lives? Yeah, he started with 99. 4:17 that prank though LMAO! I maybe a nigh year late to this, but having the Bowser's Inside Story final boss music play during the second part, along with fighting that army while trying to escape Bowser? FREAKING AMAZING!!! That has to be mario maker👾??? How do you do theses? In NSMBW you should make mario fight giant versions of the past bosses! Your legally a god if you beat this as mini Mario. The new Cuphead switch version looks amazing!!!! Wii Graphics Still better to me than the Wii u Now that i see it in 4k Dang looks Just as Good as Mario wii u but More inspiring looking. "Thank you, Mario! Now your quest is over. I now present you with another more challenging quest. Press B." Love how the Cheep-Cheeps are gently floating above the lava pool amidst the chaos. I wish the mainline mario games had music this epic! Bowsers inside story (a RPG Mario game) had the music in this. Avengers Infinity War is the biggest crossover ever. Is this a run level of cuphead? King Bill: W A Z Z A P!!!! Had someone made a Mario maker version of it? One of the most epic videos i've ever seen. Incredibly music choice, incredibly enemy choice, and incredibly good skills. 5:16 all hail the floating piranha plant. All of a sudden the song stops..